Taking the Paradise Island ferry is something of an adventure. For $3 one way, the boat ferries you across the harbor, past mammoth cruise ships, and into the center of downtown Nassau. The boats are safe – inspected regularly, registered with the authorities, and insured. The captain and crew are experienced sailors as well, so enjoy the trip without worrying. The round trip price is $6, so no discount there. Also, don’t bother asking when the next ferry departs. There’s no scheduled departure time: the crew just waits till the boat is filled up with passengers before leaving. 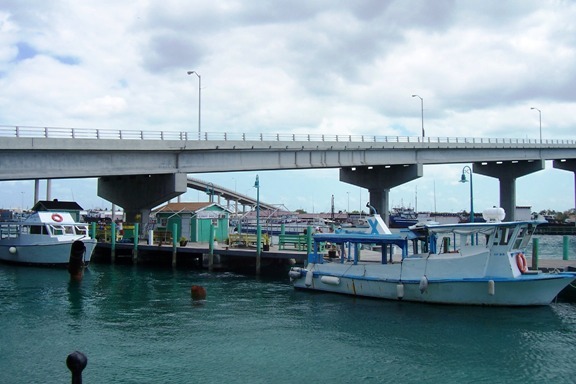 The ferry terminal on Paradise Island is located under the incoming side of the bridge. Buy tickets from the clerk on duty in the ticket window of the green shack. In addition, there’s a loud, colorful storyteller on each boat who regales the passengers with historical tales and points out the estates of the rich and famous. Generally, the storyteller expects a small tip upon your disembarkation. Have a dollar bill or some change handy. If you’re prone to seasickness, like me, try and sit away from the engine, for the smell of diesel and fumes is appalling. If you sit up top, there’s no shade from the sun, but you’re away from the fumes. 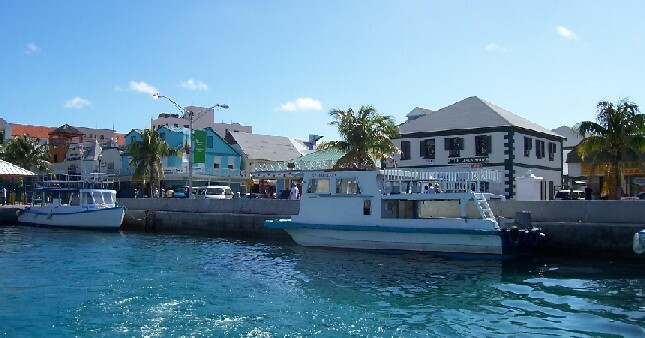 In Nassau, the ferry drops you off and picks you up downtown amidst the shops, restaurants, and historical sights. There’s no pleasant ocean breeze in the city, though, like there is on Paradise Island!